Terminator when I’m on Linux, iTerm2 when I’m on MacOS. I use both of them for the common (and easier way) of splitting the screen. I have been using spaceship since I first discovered oh-my-zsh. pure looks great too but spaceship is more customizable. For the Profile theme, I have used Dracula which is a theme available for almost all the developer tools (Even Sequel Pro). git: I guess this is on by default. It asynchronously checks with the remote branches for changes and also displays the status while you’re in a directory. 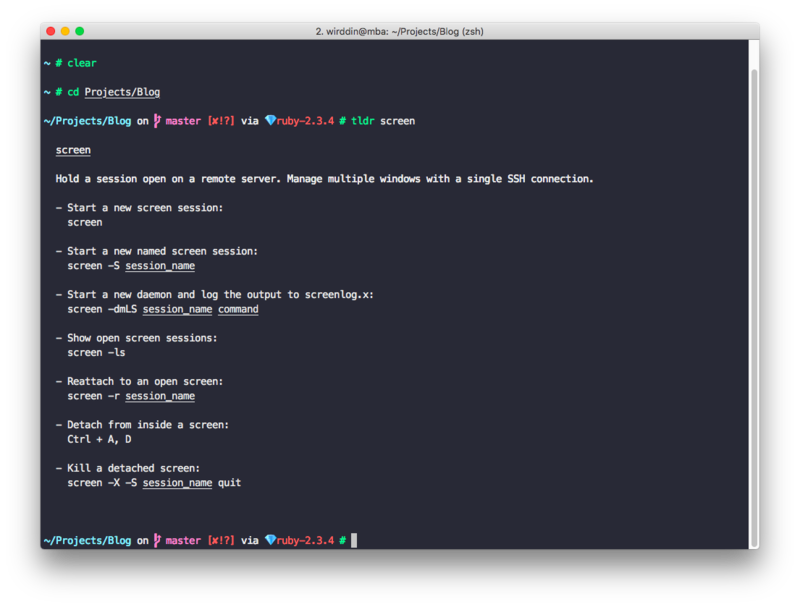 sublime: Two great commands: st for opening Sublime Text & stt for opening the current directory in Sublime Text. screen: Makes it easier to use detach and attach new screens. osx: Don’t use this plugin that much, but makes it easier to show and hide files and other stuff. tldr: It’s TLDR for man pages inside the terminal. Great for looking up examples for commands. Shuttle: Not really a command line tool but a mac menu bar app which helps me organize all my SSH connections and open them easily in the Terminal.